At Kaiser Home Support Services, we believe in collaboration and cooperation with other organizations that share or support our goals. That’s why we have built strong relationships with the organizations below, to enable and empower us to better meet the needs of our clients. 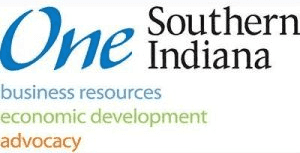 LifeSpan Resources is proud to be providing an enhanced level of information and assistance/referral to the community through our Aging and Disability Resource Center (ADRC) for Clark, Floyd, Harrison and Scott counties in Indiana. As such, we are the single point of entry for all publicly funded aging and disability services. We are here to assist you with matters as simple as a request for the name and address of a human services agency or with options to complex caregiver situations.  Give us a call today and we will empower you with the knowledge needed to make informed choices. Hoosier Uplands is a local non-profit agency based in Southern Indiana that serves as an Area Agency on Aging, Community Action Agency, licensed Home Health Care and Hospice agency, and Community Housing Development Organization! 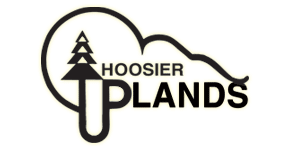 The mission of Hoosier Uplands, is to plan, implement or cause to be implemented, and provide comprehensive services to the poor, elderly, and disabled. The corporation strives to alleviate poverty, improve living conditions, and provide access to health care and social services to those families and individuals in need within our service area. All endeavors are pursued with the client in mind, never forgetting the value of every human being or the importance of our responsibility to the public which we serve. Indiana Professional Management Group (IPMG) is Indiana’s preeminent statewide provider of case management services for participants in the state’s Home and Community-Based Services (HCBS) Medicaid Waiver program. 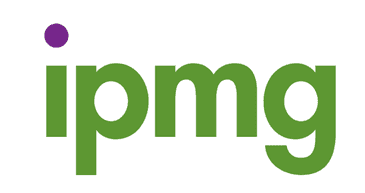 Since 2006, IPMG has set a new standard for high quality, measurable and individual-driven case management services. The Center for Nonprofit Excellence was established in 1999 through the work of many. Chief among them was Kevin Connelly, the Donors Forum of Kentuckiana, Metro United Way, and Metro Louisville. It was clear that the greater Louisville region of nonprofits needed a central point to access information, best practices, professional development, and hands-on consultation to help our sector reach its individual and collective aspirations. Nearly a decade later, our staff, board, and volunteers, continue to dream big and toil hard to provide that and bring our vision for a community that is vibrant, diverse, and compassionate into reality. INARF is the principal membership organization in Indiana representing providers of services to people with disabilities. Our members serve over 40,000 Indiana citizens annually and employ over 25,000 workers. For over 40 years, INARF has maintained positive work relationships with governmental agencies responsible for human service programs, promoted networking and professional development opportunities for members, and provided leadership and support in the promotion of quality programs for persons with disabilities. INARF is committed to strengthening the system of services and supports for Hoosiers with disabilities. Columbus is the nation’s leading provider of on-site professional staffing and consultative services, focusing exclusively on agencies that serve individuals with special needs. Since 1984, Columbus has assisted more than 140 state and local agencies in over 40 states and the District of Columbia to help solve staffing and programmatic problems. Many of these agencies faced challenging regulatory, certification, and litigation issues. In every instance, Columbus achieved positive outcomes. Columbus is an organization of professionals who have extensive expertise in clinical practice, recruiting professional staff, clinical research, staff training, forensic issues, litigation issues, and developing policies and procedures for agencies servicing individuals with special needs. Columbus has designed high-quality services that meet and exceed customers’ expectations, achieving improved outcomes within identified timeframes and fiscal parameters.